It’s nice to sit under a warm blanket and cozy up with your loved ones while listening to the rain outside, but without the right gutter guard, your evening could quickly become a nightmare. Gutters direct moisture and rain away from your home to prevent flooding and water leaking into the home’s interior. If they become clogged with leaves and debris, that function is compromised. 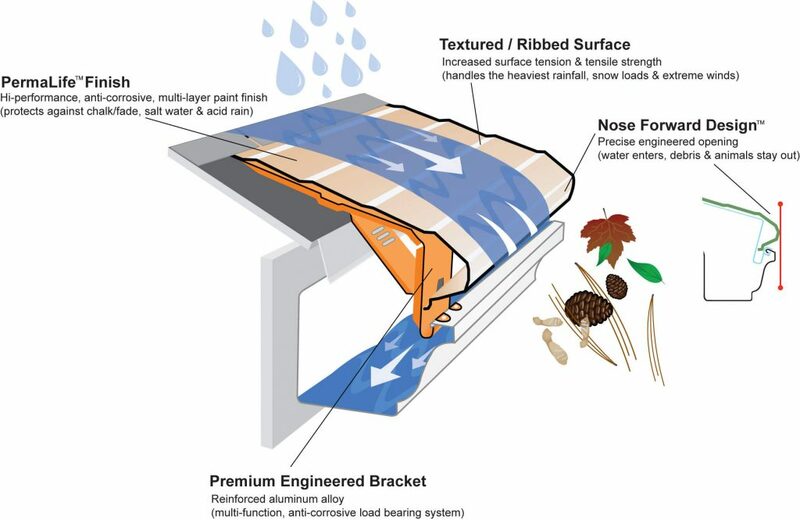 This is why gutter guards such as those offered by Gutter Helmet® are so important for your home. The Gutter Helmet system will fit on any rain gutter, and comes in a wide variety of finishes to match your home. However, if your rain gutters are old and in bad shape, then the system will not work properly. If this is the case then you should definitely consider getting new gutters before you purchase and choose the color of your gutter guards. Choosing the right gutter is not just about finding the perfect color to match your home. There are several factors that should be always included in your decision. Gutters are made with a variety of materials, most commonly vinyl, aluminum, steel or copper. When choosing the right gutter materials, consider the type of weather that is common to your area and the aesthetic look you want for your home or building. Each type has its advantages and disadvantages. Gutters come in the following styles to ensure that your gutter protects your home and doesn’t take away from its beauty. Gutter sizes, colors, coatings and prices are all dependent on the particular company you choose and the selection of inventory, and Gutter Helmet® has a wide range of products from which to choose. When considering each of these factors, include your sales representative in the decision making process. If your home is a new construction project, your choices may also be different from those homes that need a replacement gutter system. Choosing the right type of gutter is often a matter of the type of project you are hoping to finish. Those with existing homes may simply be tired of leaks from a failing gutter system and hope to find a replacement system that includes gutter guards. Those who are building newer homes may be more focused on the aesthetic value of the gutter system and gutter leaf protection. How to choose? Gutter installers typically serve only one of four distinct markets: commercial buildings, tract homes, custom homes, and existing homes. We’re not concerned here with commercial structures—or with tract homes, because it’s the builders who choose those gutters. We’re really concerned with the right gutters for your home and the gutter options and choices you have. In both the custom home and existing home (or “retrofit”) markets, it’s the homeowner who chooses the gutters. However, that’s where the similarity ends. These two types of homeowners select gutter systems for very different reasons. If you own a home and want to replace your gutters, you’ve probably reached the point where you’re sick of leaks and ready to “do something,” albeit at an affordable cost. On the other hand, if you’re building a custom home then you want gutters that complement the aesthetics of your new residence. Having spent a bundle on your home’s exterior, you don’t want just any run-of-the-mill gutter system. Installation of gutters with a leaf gutter guard is suitable for tract buildings, custom homes, commercial building and existing homes. 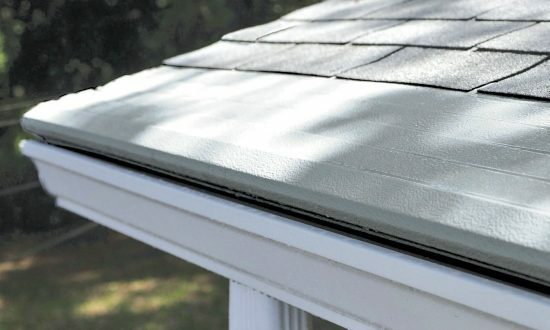 At Gutter Helmet®, we have the experience and tools required to offer you the best-looking gutter system and the most efficient and high quality products. Call us today at 800-824-3772 to take advantage of our affordable gutters and gutter protection systems and friendly service.